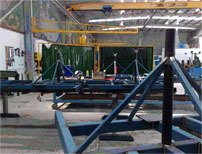 CKAS Mechatronics head office is based approximately 5 minutes drive from Tullamarine (Melbourne) International Airport, in the northern metropolitan area of Melbourne, Victoria, Australia. 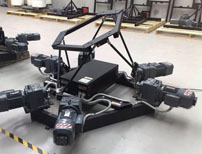 CKAS Mechatronics specialises in all aspects of simulation engineering, and is particularly focused on Flight Simulators, Driving Simulators and Motion Systems for Simulators. CKAS boasts some of the highest callibre customers, including NASA USA, Walt Disney Imagineering USA, Warner Brothers Studios USA, Thales UK, Airbus Industrie France, EADS Europe, Sydac Australia, Oktal France, Immersive Technologies Australia and many other first tier contractors.